← Nottingham Ridge: An Example Why Bay Recovery Progresses So Slowly? 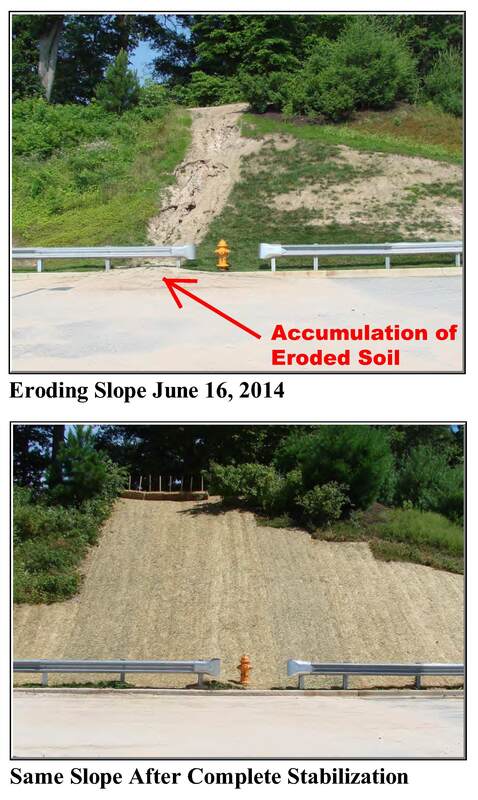 In June and July, 2014, 105 construction sites in the Greater Baltimore region were surveyed for erosion control quality by 33 staff and volunteers from 22 local, statewide or national organizations. We found that up to 89% of disturbed, construction soils could be fully stabilized (protected) from erosion through the use of straw mulch, grass or stone. However, only 23% of these soils actually were protected. We are deeply concerned that the same may be true throughout much of the Chesapeake Bay watershed. 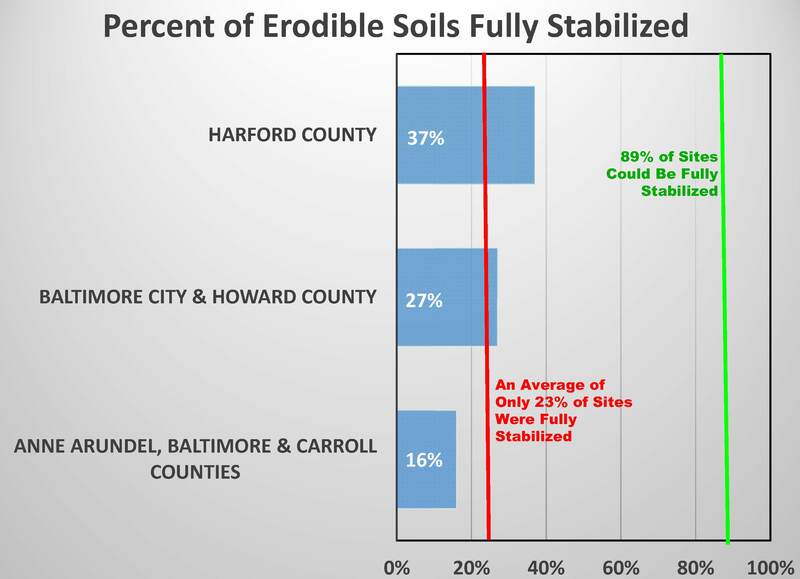 Harford County is achieving the highest stabilization rate (37%), followed by Baltimore City and Howard County (27% each). Anne Arundel, Baltimore and Carroll counties had the lowest stabilization rate (12% – 19%) with an average of 16%. As a result of stabilization rates far below the 89% level, the mud pollution discharging from these sites is far above that allowed by State and local law as well as the Chesapeake Bay Total Maximum Daily Load document. Mud pollution levels are also sufficiently high to damage the health of nearby waterways by destroying fish habitat and Bay grasses, carrying toxins and other contaminants, and contributing nutrients that result in algae blooms and dead zones in local creeks and the Bay. For each dollar spent keeping mud on the construction site with stabilization, we all save at least $100 in damages avoided. Why Is Stabilization So Important? Two approaches are used to reduce the amount of mud pollution escaping a construction site. First, black silt fence, ponds and other trapping measures are installed along the site perimeter. These perimeter controls can reduce mud pollution by 40% on average. Once the interior of the site is cleared and brought to rough grade with earth-moving equipment, all exposed soil should be treated (stabilized) with erosion control measures. Rough grade is reached when road and building construction begins on a site. Road and parking lot beds should be covered with four inches of stone, which halts further erosion. 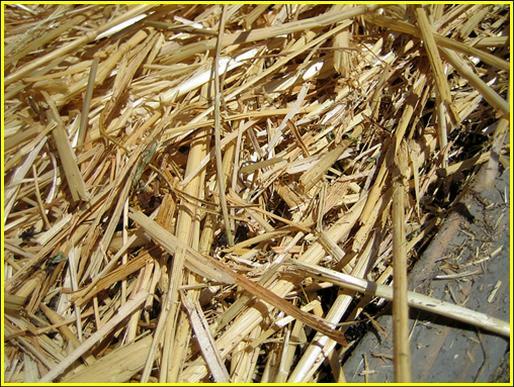 All other areas outside building foundations should be covered with a thick layer of straw mulch and seeded with grass. The grass should then achieve a 95% groundcover within four- to eight-weeks during the growing season (March-October). Mulch alone can reduce mud pollution by 90% and grass achieves a 99% reduction! Mulch must be replaced wherever you can see underlying soil. And if grass fails to achieve a minimum 95% groundcover then additional treatments are required. It is the hope of the 22 groups who participated in this survey that the public and the development community will come to appreciate that Exposed Soil=Pollution. In other words, the only way to fully protect sensitive waters and downstream residents is to eliminate exposed soil by covering it with straw mulch or grass along with stone placed on road and parking lot beds. Again, other measures like the black silt fence and ponds common to many construction sites cannot retain enough mud pollution to protect our neighbors and the environment. 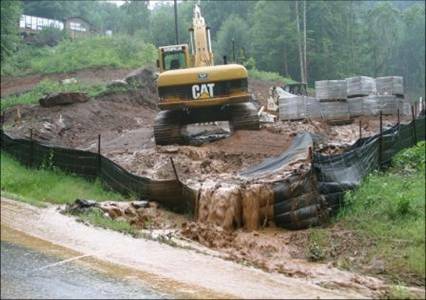 So, when you see exposed soil on a construction site assume a nearby waterway will be polluted come the next big storm. As this message spreads we anticipate that voluntary use of stabilization measures will greatly increase. To learn why the extent of full stabilization ranged from 12% to 37% among the six Greater Baltimore jurisdictions, we attempted to meet with the six enforcement chiefs and Maryland Department of the Environment sediment control program review staff. We succeeded in meeting with five of the local chiefs; Howard County and MDE declined to meet. We also obtained data regarding staffing, workloads and use of enforcement tools for all six jurisdictions. Frankly, we did not learn anything that clearly explains why one jurisdiction achieved a 12% stabilization rate while another got 37% of construction site soils under a protective layer of mulch, grass or stone. Nor did we learn of any reason why up to 89% of most sites could not be fully stabilized. We suspect that a major factor could be the importance local administrations place on achieving a high level of compliance with erosion and sediment control laws. The ratio of active permits to inspectors should be no more than 100:1. All jurisdictions should set fines at a level which provides a strong incentive to comply with Correction Notices. This level may be somewhere between the $100 to $500 current maximum and the $10,000 per day fine MDE is authorized to impose. There may be a need to educate judges about the importance of higher fines in achieving greater compliance. The enforcement agencies must have the authority to issue fines rather than having to obtain approval from a Hearing Officer. Of course the party fined must have the right to appeal. There is a need for some process whereby erosion and sediment control violations likely to result in severe pollution are repaired immediately rather than being delayed until a judge rules on the validity of enforcement action. The authority granted by Natural Resources Article at 8-1815 (e), to the Maryland Critical Area Commission for the Chesapeake & Atlantic Coastal Bays may be an appropriate solution. All jurisdictions should have the authority to stop the work authorized by a grading permit as well as that carried out on a site under all other local permits. When an owner/developer has refused to comply and all lesser enforcement options have been exhausted, then all jurisdictions should have the authority to withhold permits-approvals for other projects being pursued by that same owner/developer within the same jurisdiction. A better process is needed for obtaining and quickly utilizing funds from bonds and other securities to stabilize sites with long-standing noncompliance. Other jurisdictions should consider making the following Anne Arundel regulation text a required part of the Sequence of Construction appearing on all erosion and sediment control plans: (15) a statement in the construction sequence that the construction of the first floor walls of any building or structure may not proceed until the foundation has been backfilled, the disturbed areas have been stabilized and a certificate is provided to the inspector verifying the grades and drainage patterns shown on the approved erosion and sediment control plan have been obtained. MDE should consider holding periodic sediment and stormwater training sessions which allow local sediment control staff to interact and to learn of new approaches.